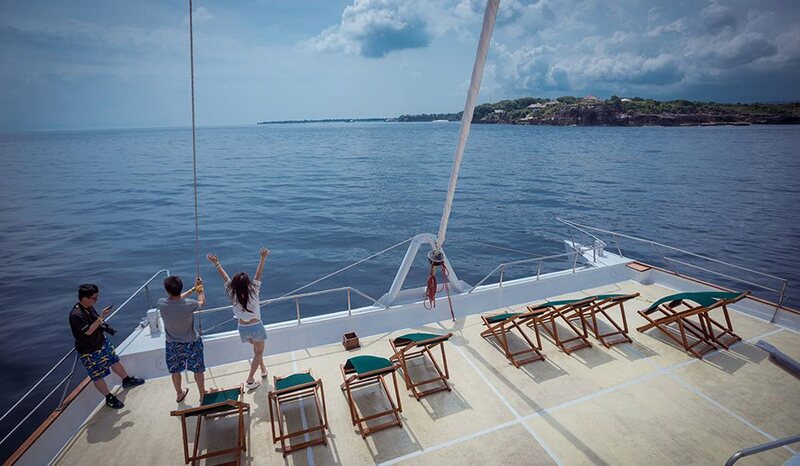 Join our Daylight cruise and make waves on a day trip over to alluring Nusa Lembongan Island. 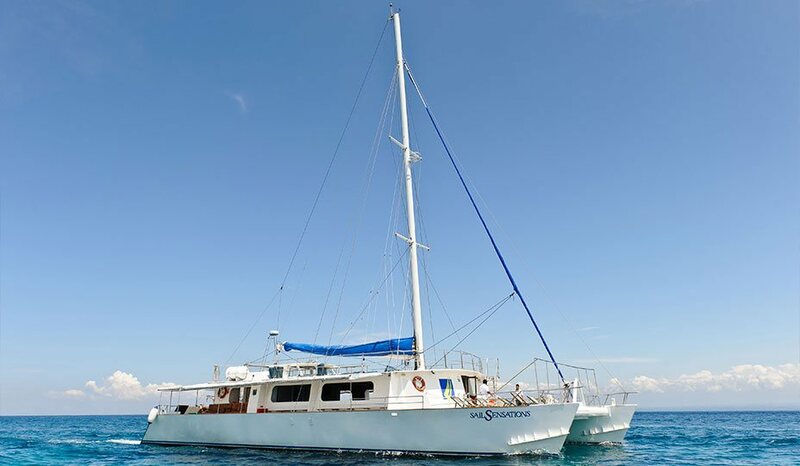 Sail Sensations, luxurious 87 foot sailing catamaran at your service, invites you for a fantastic cruise experience to charming and peaceful Nusa Lembongan, far away from busy roads and restless metropoles. You will have the opportunity to enjoy variety of marine activities, snorkel magnificent coral reefs, explore the island or simply relax at “The Anchorage”, an island oasis located in the lush green gardens surrounded by palm trees, adjoining the white sandy beach of Mushroom Bay. 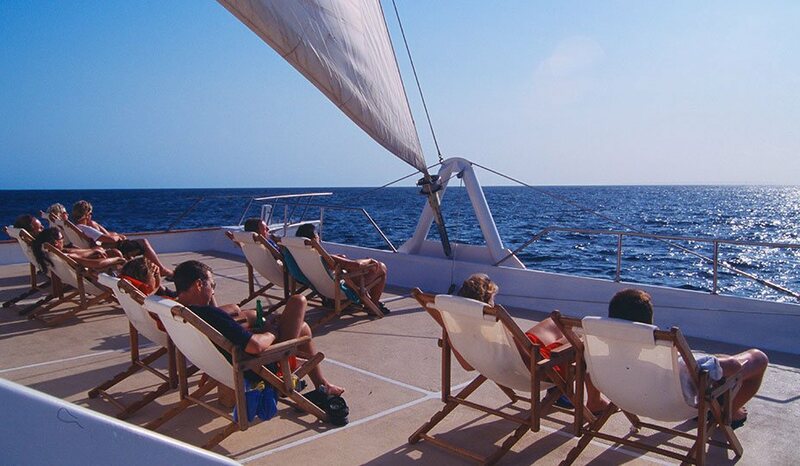 The Sail Sensations catamaran hoists the sails for departure from Benoa Harbor at 09.00 am and arrives to Lembongan island, Mushroom Bay at 10:30 am. Fresh fruits, tea and coffee, light snacks and beverages are served throughout the cruise. 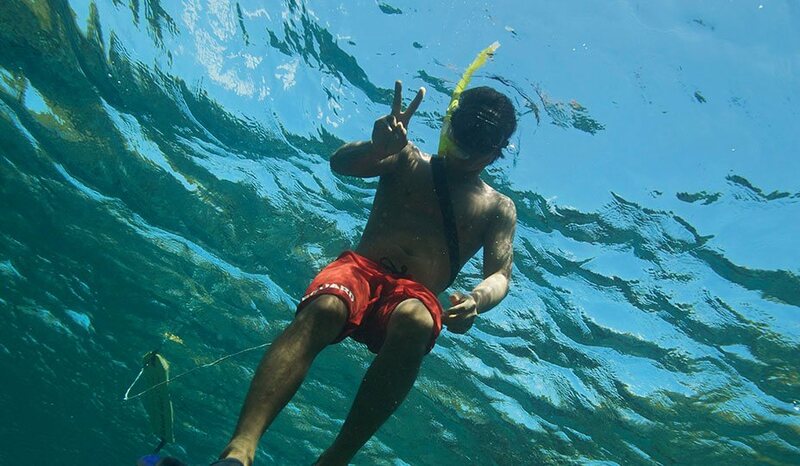 During the day cruise you can enjoy many exciting family activities such as Nusa Lembongan village tours, sea kayaking, snorkeling, banana boat rides, swimming pool, waterslide and glass bottom boats. Optional activities available for additional charge are scuba diving, Aquanauts submerged sea walker, parasailing and massage. Departing from “The Anchorage” Bali Sail Sensations Cruises sets sail for Bali at 3:30pm. Sails are dropped on arrival to Benoa Harbour at 5:00pm.